Are you ready for something TOTALLY Awesome?! I mean seriously... I am SOOOO jealous of whoever wins this! 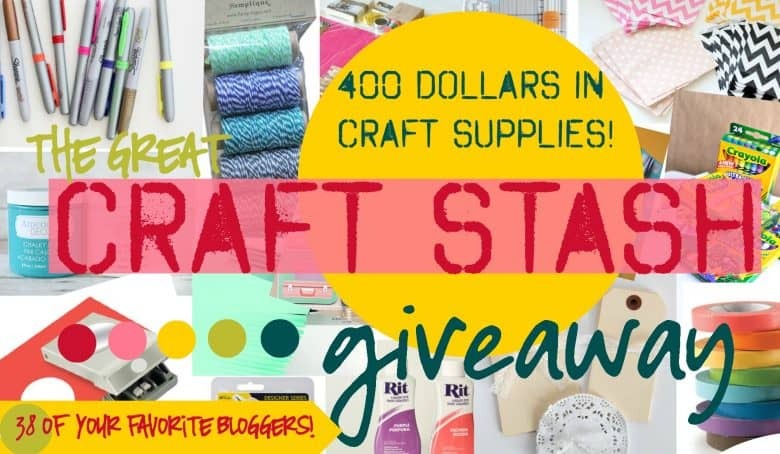 38 AWESOME bloggers have all joined forces to give you the GREAT Craft Stash GIVEAWAY! 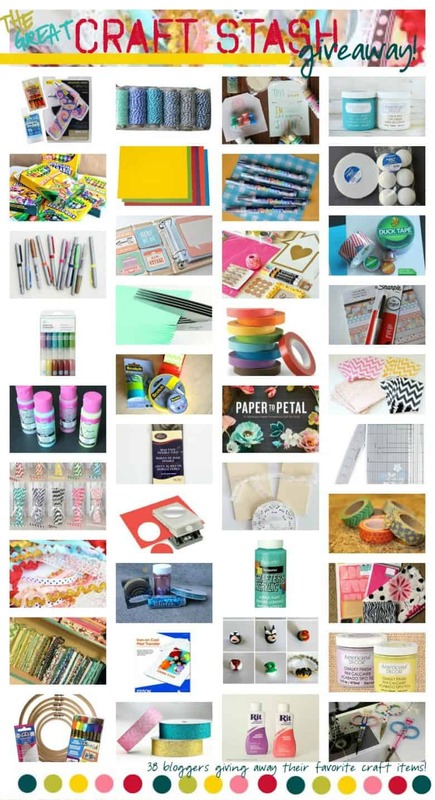 We have everything from washi tape, to chalk paint, to baker's twine, to sharpies! Everything a crafter's heart could desire!!!! I choose to giveaway a Summer pack of vinyl from Expressions Vinyl. You can do so much with it and apply it to so many different things. Walls, cups, wood, clothing, cars... you can apply it! I even use vinyl a lot to make stencils for painting projects! 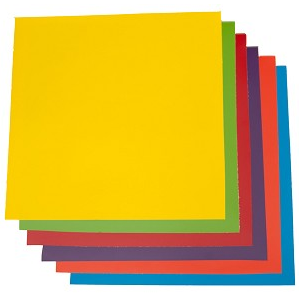 Can't go wrong with a colorful sheets of vinyl! Want to see what else if up for grabs?! There is just a basic entry (Just click enter!) Then loads of other ways to up your odds!!! I'm not positive. I would assume if not today, then in the next few days. Another blogger is the one picking the winner since she was the one that set up the Rafflecopter box so she will be the one to get a hold of the winner. Good luck!